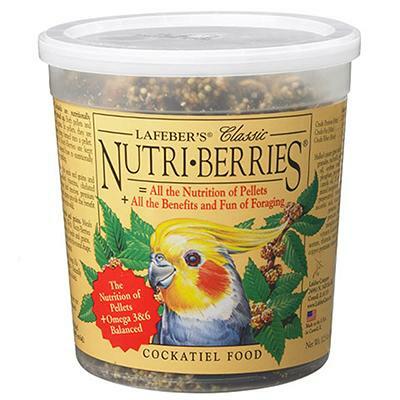 Contains only nutritious natural ingredients -- hulled canary seed, red millet and oat groats blended with savory peanuts, all rolled into berry-shaped pieces and coated with vitamins, minerals, carbohydrates and protein. 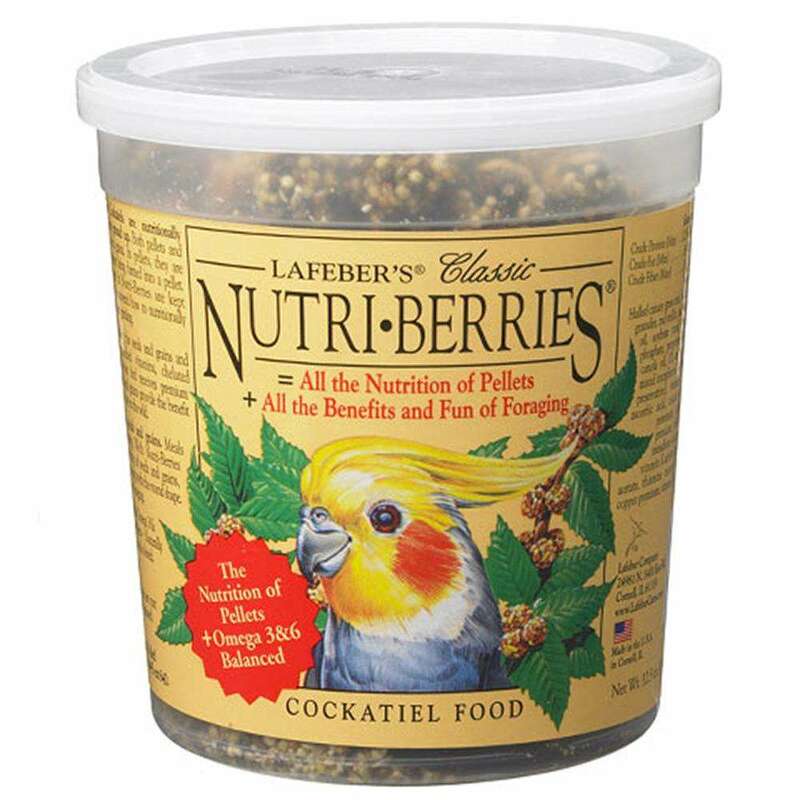 From Lafeber. Ingredients: Hulled Canary Grass Seed, Hulled White Proso Millet, Oat Groats, Peanut Granules, Red Millet, Malto-Dextrin, Corn, Corn Syrup, Wheat, Corn Oil, Soybean Meal, Ground Limestone, Glycerin, Dicalcium Phosphate, Gelatin, Whole Egg, Iodized Salt, Canola Oil, DL-Methionine (An Amino Acid), Citric Acid, Mixed Tocopherols (A Preservative), Calcium Propionate (A Preservative), Vitamin E Supplement, Choline Chloride, Ascorbic Acid, Niacin Supplement, Carotene, Manganese Proteinate, Calcium Pantothenate, Biotin, Zinc Proteinate, Riboflavin Supplement, Sodium Selenite, Pyridoxine Hydrochloride, Vitamin A Acetate, Thiamine Mononitrate, Vitamin B12 Supplement, Copper Proteinate, Vitamin D3 Supplement, Natural Colors, Folic Acid.